OXFORD, Miss. – A University of Mississippi professor’s research has determined that regular exercise may help prevent diabetics from losing their vision. 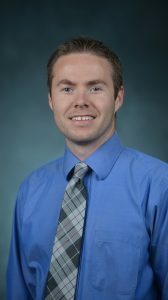 Paul Loprinzi, assistant professor of health, exercise and recreation management, evaluated the association between sedentary behavior and diabetic retinopathy, a complication of diabetes that causes damage to blood vessels in the retina and leads to vision loss. The study looked at 282 American adults with diabetes. The patients averaged 62 years of age, and nearly one-third (29 percent) had mild or more severe diabetic retinopathy. Using an accelerometer device to measure activity, the study found that participants were physically inactive an average of 8.7 hours of the time they were awake each day. “For each 60-minute daily increase in physical inactivity, the risk for mild or more severe diabetic retinopathy rose by 16 percent,” Loprinzi said. “I believe the link between a sedentary lifestyle and retinopathy may be due to… Click HERE for entire article.